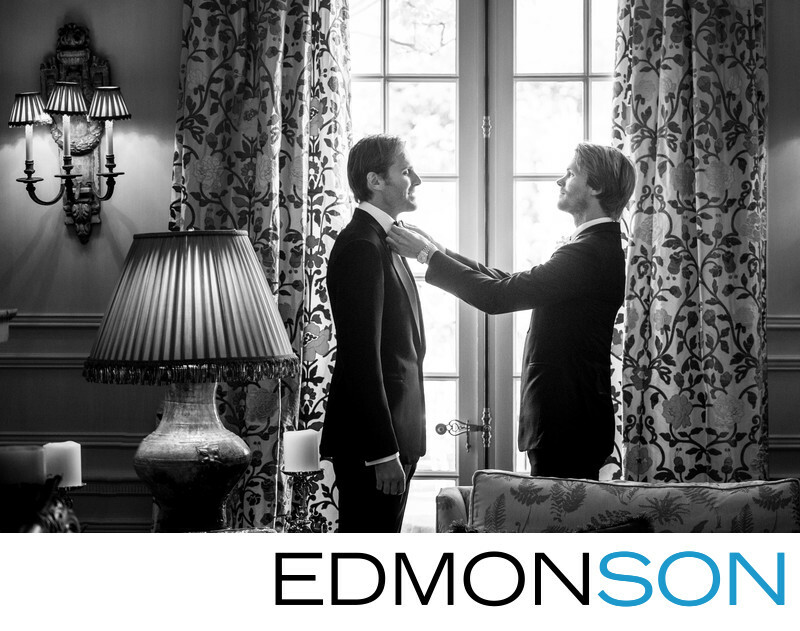 Two brothers from England finish getting ready before the wedding held at a private estate in DFW. Coordination for the gorgeous Jewish wedding provided by Marianne Weiman-Nelson of Special Occasions Event Planning out of West Hollywood, CA. 1/200; f/2.8; ISO 1600; 102.0 mm.